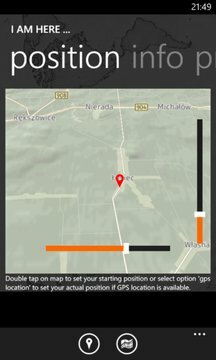 Application gets your location and searches information about it. Next you can share with your friends with information where you are by SMS or e-mail. 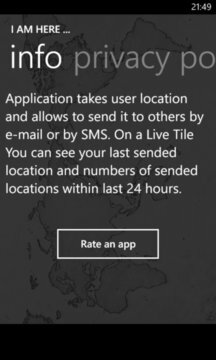 App supports Live Tile which presents your last sended postion and count of sended information within last 24 hours.